The US dollar will finish the week ending on April 7 on a high note despite the US non farm payrolls (NFP) missing expectations. 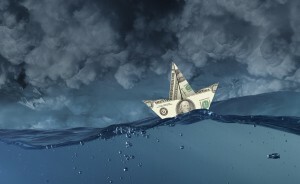 The greenback is only lower against the JPY as other major pairs have fallen as risk aversion following the geopolitical events around the globe. The US airstrike against Syria in particular caused a wave of USD selling but as the day went on the currency recovered along with the risk appetite of investors. Members of the G7 will meet in Italy on Monday for a two-day prescheduled meeting that has risen in importance given current events. US earnings seasons will kick off next week with Financials leading the charge. The sector has been one of the winners in the Trump trade and as such has suffered by the loss in momentum as the future of the pro-growth policies remains cloudy. Fed Chair Janet Yellen will speak on Monday with room for some insight on the Fed minutes released this week that show the central bank is debating on when to reduce the 4.5 Trillion bonds in its balance sheet. The Bank of Canada (BoC) will release its monetary policy report on Wednesday, April 12 at 10:00 am EDT (2:00 pm GMT) with no change expected to the benchmark interest rate. The highlight of the week in economic data will be the US retail sales and inflation data to be published on Friday, April 14 at 8:30 am EDT (12:30 GMT). Employment gains in the United States continue to be solid despite the latest disappointing NFP report but it’s worth noting that retailers lost 29,700 jobs in March after losses of 30,000 in February. Core inflation is forecasted flat at 0.0 percent while core retail sales could come in at 0.2 percent. The EUR/USD lost 0.906 percent during the last five trading sessions. The single currency is trading at 1.0587 after the US dollar bounced back from overnight losses. The USD gained on both fronts against the EUR, when investors sought safety after the US airstrike against Syria they bought JPY, gold and US treasuries, even after a NFP miss the USD was bid as few institutional traders will leave longs ahead of a weekend after so much geopolitical anxiety. French elections concerns are lower after the latest televised debate, but situations in Italy and elections later in the year in Germany have not painted an encouraging scenario for European unity. Mario Draghi said on Thursday that the policies of the European Central Bank (ECB) remain appropriate and even despite positive signs of recovery it is too soon to talk about reducing stimulus. This means that the divergence between the Fed and the ECB will only grow as the Fed slowly but surely continues on a tightening path while the ECB is still unsure when it will abandon its expansionary policies. Fed Chair Janet Yellen’s words on Monday could further put the US central bank on a more proactive path than the ECB, who is still struggling with having a coordinated response when big members such as Germany haven’t bought in to the long term plans. Oil prices in the US rose 3.368 percent during the last week. The price of West Texas is trading at $51.91 after the US attack on Syria made crude prices jump. Donald Trump made the call while hosting Chinese President Xi Jinping so political risk was already high. There is ample evidence of oversupply in the market, yet the price is still rising even as there are more US producers waiting to ramp up production. Asian markets that have been limited by the OPEC cut, have turned to US oil which reduces the overall negative impact of increased US crude. China has surpassed Canada as the main destination of US oil. A disruption in Canadian supplies after the shutdown of the Syncrude oilseeds facility in Alberta has also helped WTI march higher even before the fears of lower supply as a result of the US intervention in Syria. Gold rose 0.232 percent in the last five days. The price of the yellow metal is trading at $1,251.78 although intraday volatility on Friday had it as high as $1,270.64. The combined effect of the ongoing China-US summit in Florida, the US airstrike in Syria, the terrorist attack in Stockholm and the weaker than expected NFP jobs report had investors seeking a safe haven and flowing into gold. Near the end of the Friday session the USD had managed to recover from overnight losses. The metal traded in a 2 percent range as geopolitical events reduced the risk appetite of market participants.